The Nuria Restaurant celebrated its 90th anniversary in February and we decided to celebrate it in style with lots of events and different experiences for the diners who came to visit us. Damm; live music and mini theatre performances to recreate moments and characters from local history, among other surprises, at the height of these past 90 years of life. Undoubtedly, one of the most popular events was the Beer Festival that we celebrated on Thursday 4 February on our premises. 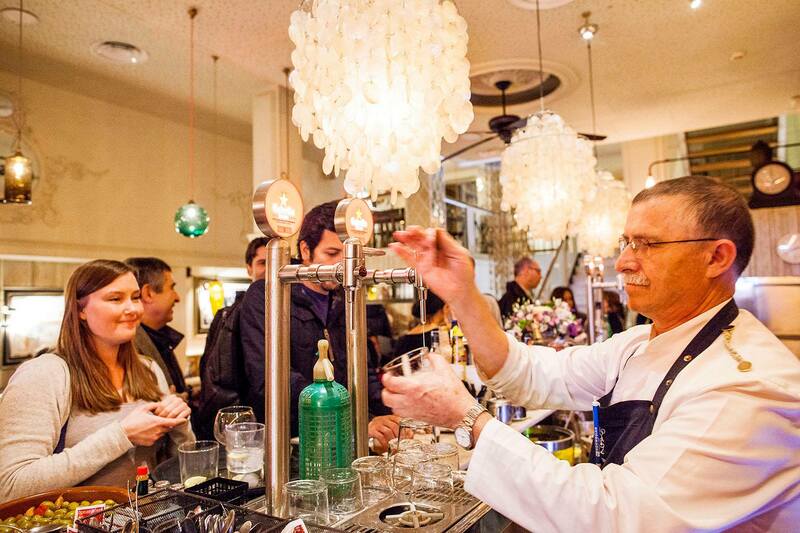 We commemorated the installation of the first draught beer tap in Barcelona at Nuria in 1926. Estrella Damm contributed to this Beer Festival, along with musicians from "Gitanos de Gracia", who provided the rumba rhythms at this unforgettable event.